The collaborative community contribution model of open source computing is an art form. This is a view shared by an increasing number of respected speakers in the industry as open platforms now become seriously architected into our computing services from mobile devices to enterprise clouds. Puppet Labs CEO Luke Kanies used his keynote on the last day of the recent ApacheCon conference to talk about ‘Growing Authentic Communities’ and reinforce this message. Kanies runs Puppet Labs, a company focused on open source configuration management and IT automation software for system administrators. But he also runs it as a project. This format is the only way to pull it off i.e. you can not start a company and then tack on a community project elements — equally, you can not identify an open community group and then “graft” a company onto the activities already underway. 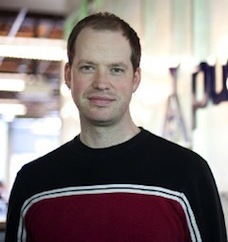 Citrix employee Joe Brockmeier explained recently on Linux.com that Kanies had managed to move the Puppet Labs successfully from GPL to the Apache Software License with very little fuss. Brockmeier says that Kanies’ approach here was to “engage, rather than announce” and tell the community that “here’s a change we’re thinking about making” rather than issuing a flat press statement. “Another major factor is transparency – which isn’t the same thing as openness, says Kanies. Communities should be transparent in how they operate and honest in answering questions… He also stressed being willing to admit that a project isn’t perfect, or suitable for every use case… People are really hesitant to say, ‘yeah, it won’t work for that,’ … When a project is new, it might not work terribly well. When a project is mature, it might be hard to change direction, etc. Any stage of a project is going to have its own problems. Kanies says you have to acknowledge those [facts],” writes Brockmeier. In O’Reilly Books The Art of Community, Ubuntu community manager Jono Bacon also supports the “art theory” and talks extensively about what constitutes effective leadership inside a community and how to build strength. NOTE: GNU Emacs is an extensible, customisable text editor with an interpreter for Emacs Lisp, a dialect of the Lisp programming language with extensions to support text editing. 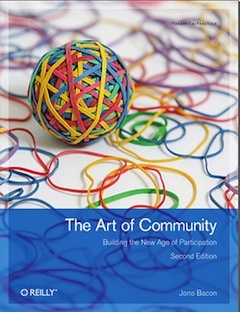 Bacon explains that The Art of Community is a distilled set of approaches and thoughts about how to build community. The book is a collection of experiences, observations, and thoughts from his own career and elsewhere. It is appropriate then that we now speak of open platforms, open computing and open communities as an “art form” in the most serious and weighty possible sense of the term. A decade from now nobody will question this fact.